﻿ Slim Pension House, Bohol | FROM $14 - SAVE ON AGODA! "The staff was very friendly, including breakfast, good posit..."
Have a question for Slim Pension House? "The room was a good size, and in decent shape." "Not a place for meeting people but was reasonably priced and very centrally located with a great free breakfast." "the overall huge plus was the cleanliness." "Location pretty good, just a few steps away from Altura Mall..."
Designed for both business and leisure travel, Slim Pension House is ideally situated in Tagbilaran; one of the city's most popular locales. From here, guests can enjoy easy access to all that the lively city has to offer. A haven of rest and relaxation, the hotel will offer total renewal just steps away from the city's numerous attractions such as Bohol Museum, Governor Celestino Gallares Memorial Hospital, Bohol Quality Mall. Slim Pension House offers impeccable service and all the essential amenities to invigorate travelers. Guests of the hotel can enjoy on-site features like 24-hour room service, free Wi-Fi in all rooms, Wi-Fi in public areas, room service, laundry service. Step into one of 17 inviting rooms and escape the stresses of the day with a wide range of amenities such as internet access – wireless, internet access – wireless (complimentary), non smoking rooms, air conditioning, desk which can be found in some rooms. Besides, the hotel's host of recreational offerings ensures you have plenty to do during your stay. When you are looking for comfortable and convenient accommodations in Bohol, make Slim Pension House your home away from home. "Love the breakfast serve every morning." Love the breakfast serve every morning. Wifi is fast. 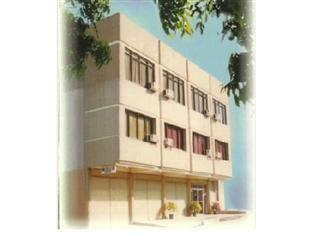 Location pretty good, just a few steps away from Altura Mall. Will stay again. Shoutout to the receptionists who are very pleasant and friendly. The other staffs can be noisy though. It was what I paid for, decent enough to stay, good location because the commercial center of Tagbilaran is just a walking distance and around the corner, the public transpo knew the pension house so you won't have any problem finding this, the free breakfast is good enough for me, the staffs are friendly though I think they are understaffed. shower didn't work at all. the aircon is very loud, the room kinda filthy and disgusting. the staff was nice but that didn't really save anything. i have stayed at much cheaper hotels with much better quality... if you want to use this word in this case. booked a single standard but i guess there was a mistake with booking one of the rooms and so the receptionist gave us a standard double instead which is a plus. But the overall huge plus was the cleanliness.. Good job! This hostel is in a great location, centre of Tagbilaran city, an easy commute by motorbike to Alona Beach or Chocolate Hills. Breakfast is good. The room with private bathroom was nice and Clean, good A/C, and had very comfortable beds. Cable TV was a bonus. Staff were exceptionally helpful and courteous. Great central location to commute bw beaches and hills. A/C is nice and cool, shower is a bit finicky for hot H2O and awkward to wash your hair. Staff are very accommodating and breakfast is tasty. If you need a motorbike, just ask front desk . The room was basic but it's better than my first stay years ago. It is in the heart of the city. It's for travelers and employees w/a tight budget because it has free breakfast but it's just very basic,too. The room rate should be lower considering its quality. There should have more impovement on its ambiance. This hotel is just good enough if one is on a budget. It is located just in the city and not so far from a mall. But of course, the breakfast is just as expected, also on a budget. But for one who is not choosy and used to a Filipino breakfast, it is nothing to complain about. But for one who is used to the luxurious amenities of 3- to 5-ster hotels, then this hotel is not for you. I think this is the cheapest available on Agoda, and the location is not that bad, at least relative to Panglao Chocolate Hills Resort, which is on the edge of nowhere. Arriving before noon, I was able to take a nap before meeting the tarsiers. Back on topic, the room is spacious alright, with a double bed and a small TV. There is an aircon, of course, and a phone that could not connect to the outside world despite the label stuck on it saying otherwise. You also have a bible on the bedside table. We travelled as family with 3 teenagers less keen on beach life (---》Panglao Island) but to visit Bohol attractions. For this it's a good choice, stuff was very helpful with information about how to do it by public transport rather than doing it by an organised tour. Aircon quite noisy and rooms/bath a bit rundown (toilet seat/no warm shower). Typical filipino breakfast. in relation to price still ok. I stayed here for two nights while I explored Bohol. The room was a good size, and in decent shape. It was easy to access food, the mall, and find a pedicab from the location, though it was somewhat far from the pier. 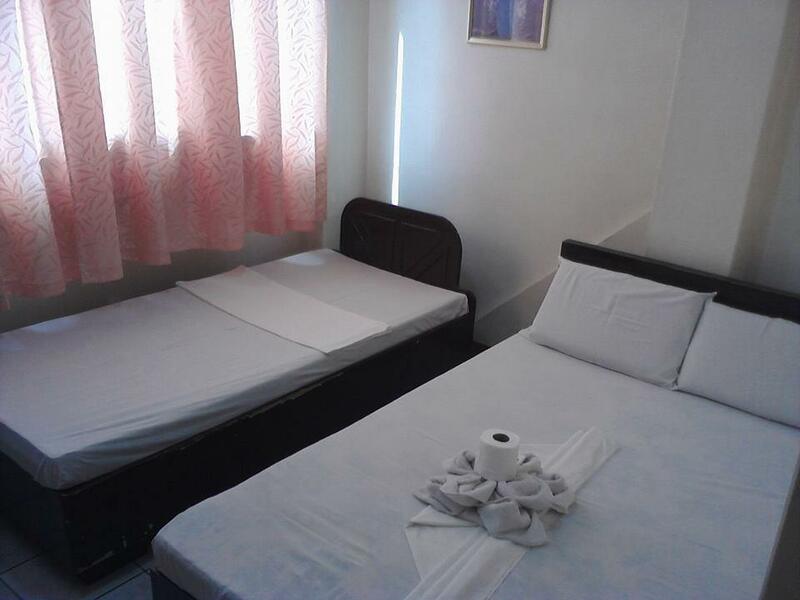 I liked Slim Pension House because they have probably the lowest nightly rate for a decent standard single room in all of Tagbilaran, and the fact that they are located in downtown Tagbilaran. The staff are still accomodating, like how they were a couple of years back. However, there's so much to improve on --- like they can buy new bed sheets and maybe bigger pillows. Also, they need to make sure to check that the rooms do not have cobwebs in the hard-to-reach corners. The first time I got into the assigned room, I saw something crawling in the floor ---and the room smells of old wood. But everything else seemed ok, plus the staff is still accommodating. When we arrived there, despite having made a reservation, they didn't have any room available. After a discussion of 2 hours with the woman of reception (we were talking to her while she was talking with "her boss" on the phone) she puts us on a room with no light at that smelled of painting because "it was recently painted". After 10 minutes in that room we decided to leave. Sharing such a room with cockroaches, who suddenly appeared from under the bed, was too much for us. Also, the attitude of the boss, who showed up after 2 hours and a half, and his wife were totally unacceptable. They didn't apologize for any inconvenience cause and they don't even look at us when they arrived. I will only recommend this hotel to someone who wants to live a nightmare during holidays. The room wasn't really clean, but acceptable. The bed was comfortable, the bedsheets clean, wi fi worked. Though I needed to ask the reception to turn on hot water and the aircon stopped working for a couple of hours then it fixed on its own and worked properly and loudly. The girls at the reception were really grumpy. They were totally unhappy when I arrived, even more unhappy when they saw me every morning and every evening. My last evening there they didn't even react to my 'good evening'. Same thing happened to my 'good morning' when I checked out. Though there was also a nice and helpful guy. About the "extra charges" of my daughter aged 14. The deluxe room is with double bed and single bed. I booked this with my husband and daughter. Upon check-out they charged us $7 dollars for my daughter. It is rediculous since we did not ask for extra bed, it is already in the room. My suggestion, they should not charge extra for this and they should do something/packed a breakfast meal for their customer who's fligh is as early as 6:00 a.m.
We got a room that had hot and cold shower, but we only had cold water. TV was okay reception for some channels. Wifi worked sometimes but half of our stay it did not. Breakfast was okay but minimal. Location was pretty good, close to the airport (50 pesos by trike) and a small walk to the Panglao jeepney lot where you can get a cheap ride to the beaches. Would recommend a private driver for Bohol attractions. Nice ... I like the basic, simple but clean, comfortable and conveniently located. You get the value for money with breakfast included. I will come back to this accommodation for the homey feeling in Tagbilaran City.